Want to see all the technologies used by smarthome.com? Smarthome provides products in lighting control, whole-house automation, security and surveillance, home entertainment, gadgets and pet care. Smarthome's mission is to "make life more convenient, safe and fun." Smarthome prints more than four million catalogs per year and services customers in more than 130 countries. The company offers more than 5,000 items for the customized automation of the home. 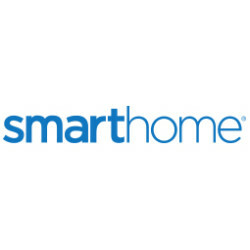 SmartLabs' divisions include: Smarthome.com Smarthome.com offers proprietary and other manufacturers' products direct to the general consumer through its direct mail catalog, website at www.smarthome.com and by phone. SmarthomePRO.com SmarthomePRO.com sells SmartLabs proprietary products in addition to Smarthome's entire line of products to contractors and installers. SmartLabs Design SmartLabs Design is the company's proprietary product design division, aimed at designing new products that address consumers' unmet needs. This division develops products using INSTEON & other technologies, under the Smarthome brand. SmartLabs continues to be the world's leading designer and manufacturer of home automation products. All Smarthome branded products are backed by a 30-day money-back guarantee, price-match guarantee, and free 7 days per week technical support. Smarthome's support staff stands behind the company's mission and is dedicated to providing information on all products offered by Smarthome as well as tailoring product suggestions to each individual's needs and budget. SmartLabs Technology SmartLabs Technology is the company's proprietary technology development division whose engineers developed INSTEON which is currently being used to develop products by over 1,000 companies to date (including products developed under the popular Smarthome brand). Smarthome Factory Store Smarthome Factory Store stocks thousands of products at the company's Irvine, CA headquarters. For a quick look at additional technographic info on smarthome.com or any domain on the web, download our Chrome Extension. Check out our help article to see how Datanyze Insider can help you.